Vinyl fence and lattice can be cut just like wood material. Whether you're installing your own fence, or doing some other vinyl fence project, chances are you will need to cut your material to custom fit your needs. Cuts need to be straight and smooth to prevent chipping, and to give your vinyl project the best possible appearance. 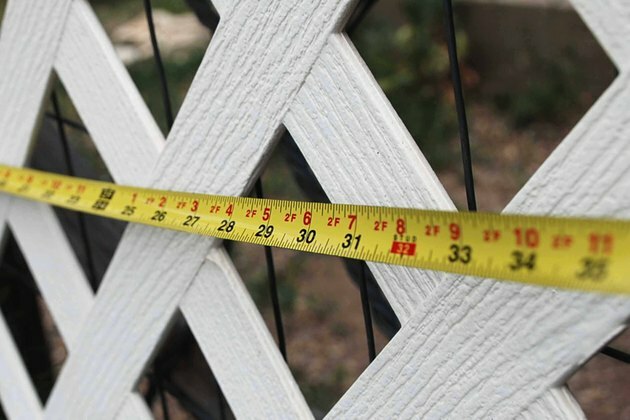 Use a tape measure to measure the distance that your fence material needs to cover. Mark this distance on your vinyl with a pencil. Use a straight edge to carefully draw a line down the length of your vinyl, marking where you need to cut. 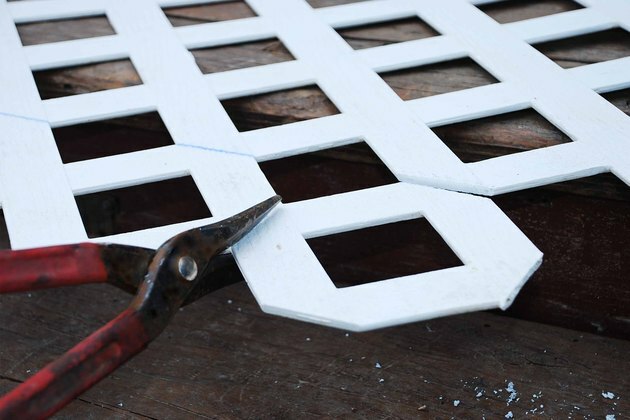 Start by cutting your vinyl lattice. 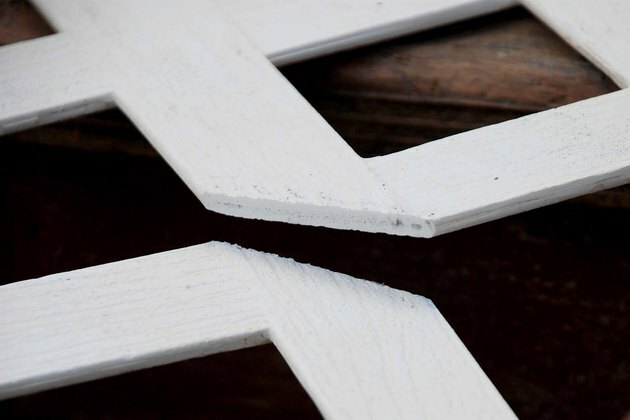 Cut through the lattice joint by joint using a circular saw with a vinyl-cutting blade. If you don't have a vinyl-cutting blade, you can use another fine-toothed blade. Ease the saw or blade carefully through the lattice. Proceed slowly to prevent chipping. Now you can cut your sections of vinyl fence. 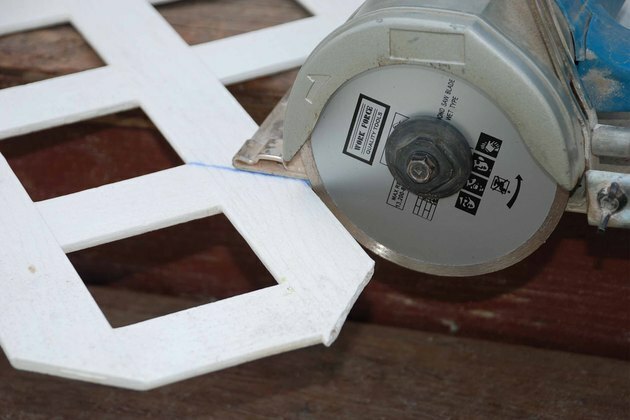 For cutting vinyl fence, again use a circular saw with a vinyl-cutting blade. Saw between fence panels or pickets, not through them. This will give you the cleanest, most finished-looking cut. Cut slowly through the panel, moving carefully along your line to avoid chipping or cracking the fence. 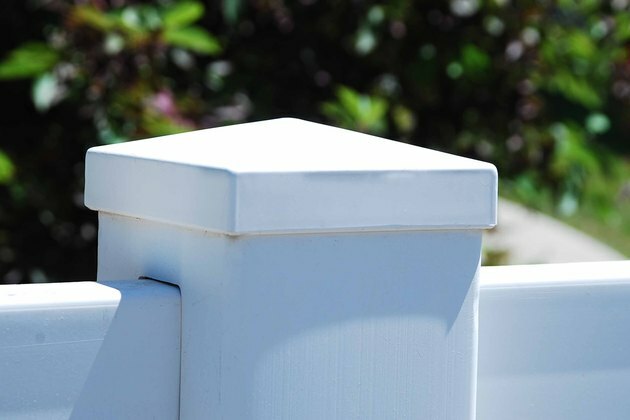 Slide vinyl fence notchers into the end of your cut rail to re-notch the rails of your fence. Squeeze the notchers together (like the ends of scissors) to pop notches into the rail. Put two notches on each side of each rail (four notches per rail; eight notches altogether). Finish by cutting your vinyl fence posts. When cutting posts, try to cut from the bottom. This will allow you to hide the cut in the ground. Use a sawzall or a hack saw to chop off any extra length on your post before concreting the post into the ground. If you need to cut a post that is already in the ground, remove the post's cap first. Measure your length and make your cut while trying to keep your saw as straight as possible. Cut evenly across the post and slip the cap over the top of your post, covering the cut.